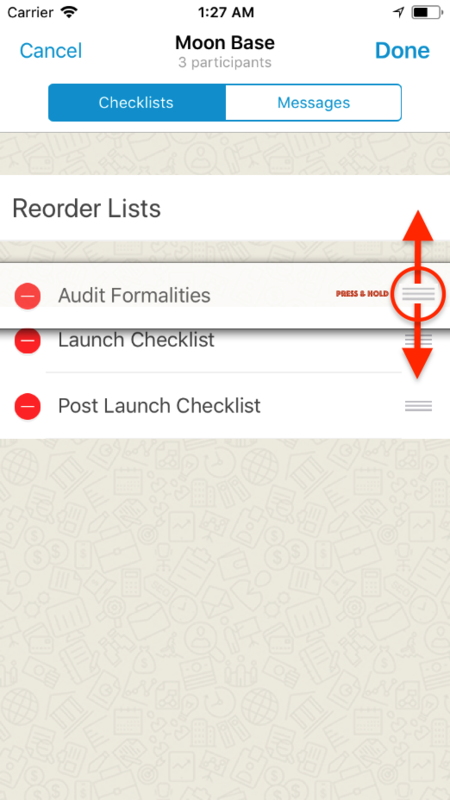 Tap on the Project/Group or Thread, which contains the checklists that you would like to reorder. 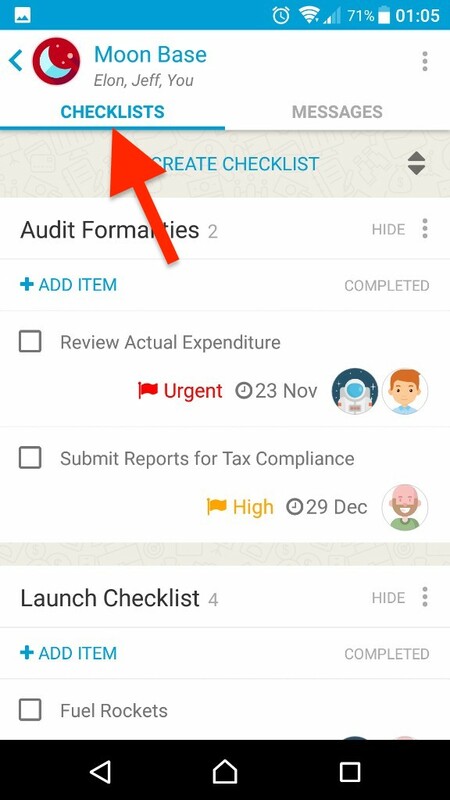 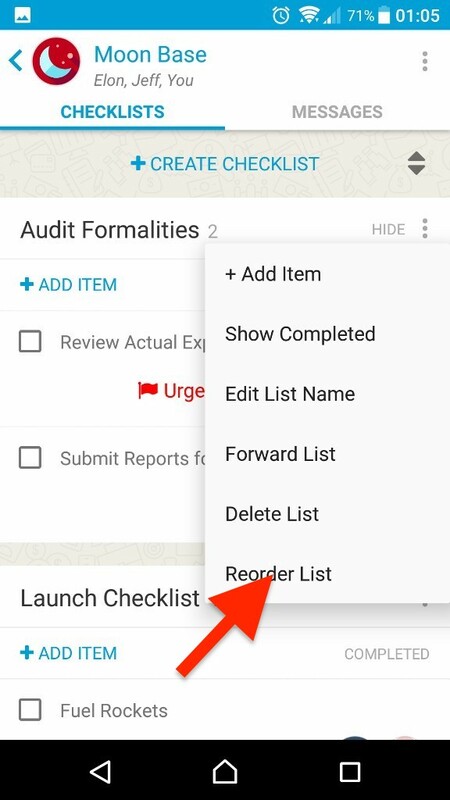 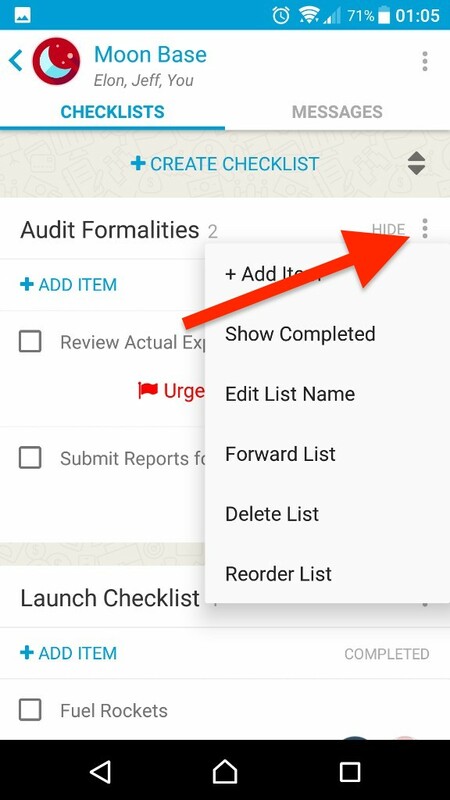 Tap on the 'Checklists' button on the top left to get to the Checklist tab. 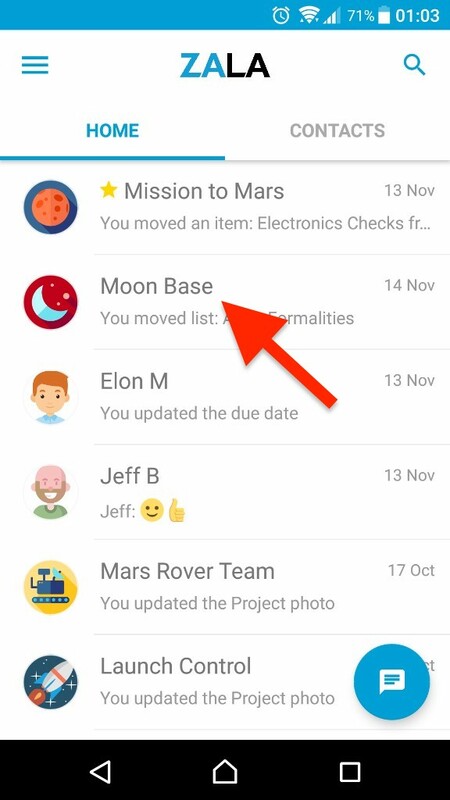 (if you're not there already). 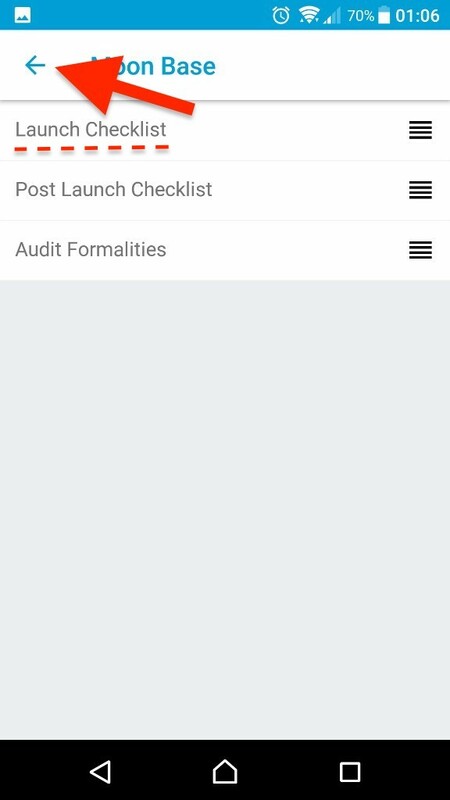 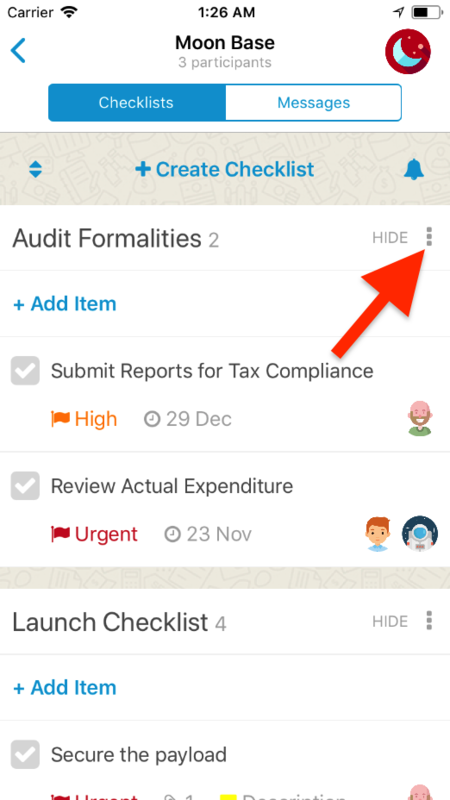 Tap on the 'Options' menu against any of your checklists. 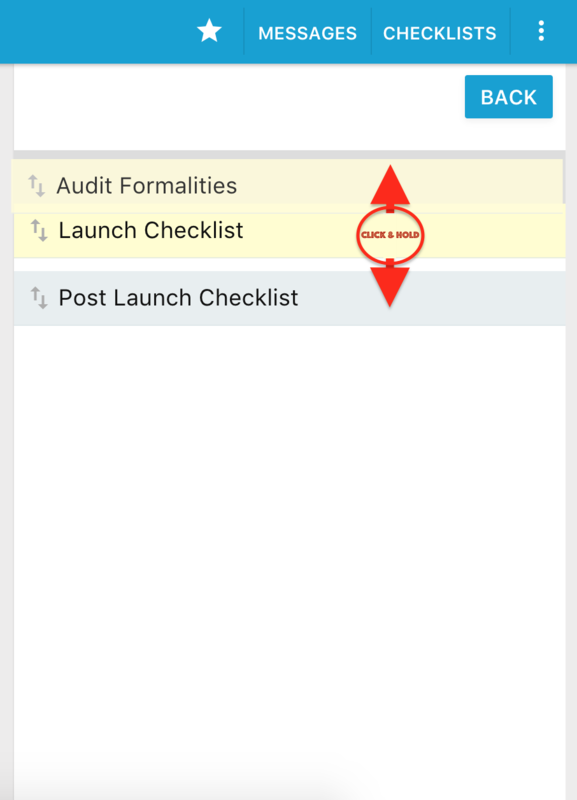 Move your checklists up or down as per your preferences - by pressing down and holding until you've moved it to the appropriate position. 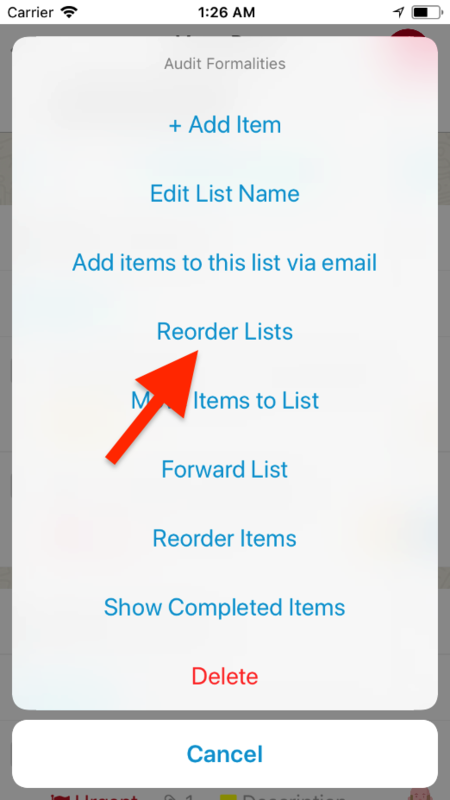 Tap on the back arrow on the top left when done. 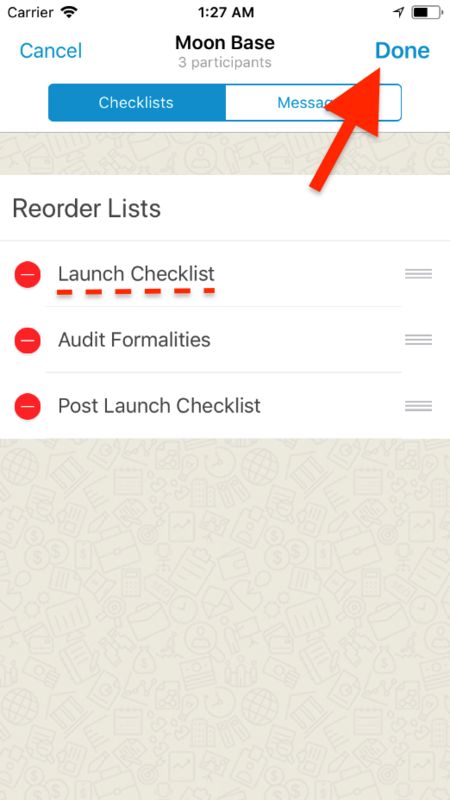 Your checklists are now arranged as per the desired (set) order. 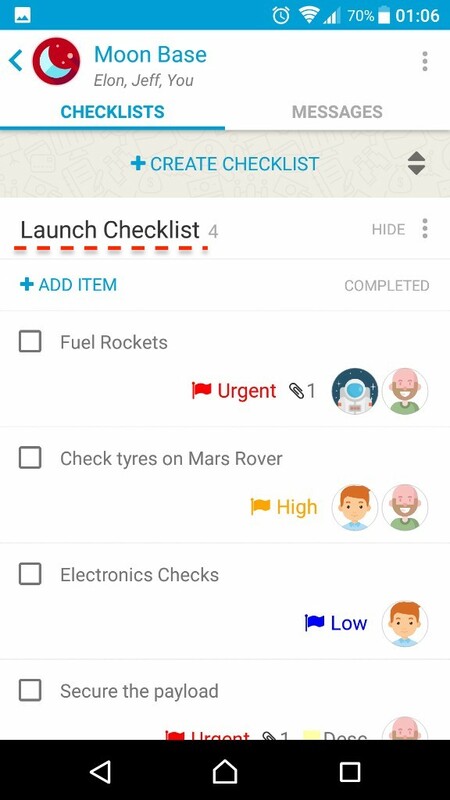 Move your checklists up or down as per your preferences - by pressing down and holding the 'move/grip icon' against the said checklist - until you've moved it to the appropriate position. 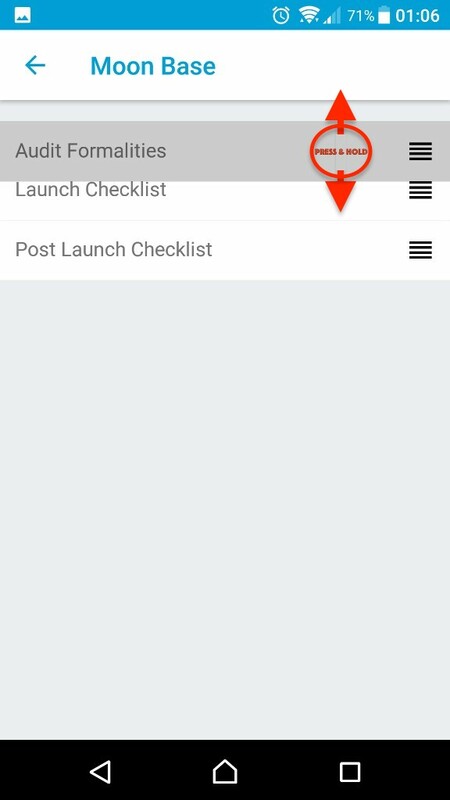 Tap on 'Done' when complete. 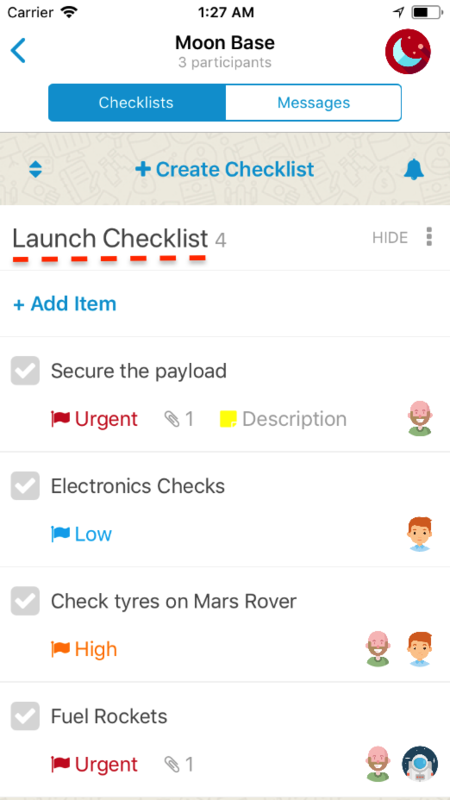 Click on the Project/Group or Thread, which contains the checklists that you would like to reorder. 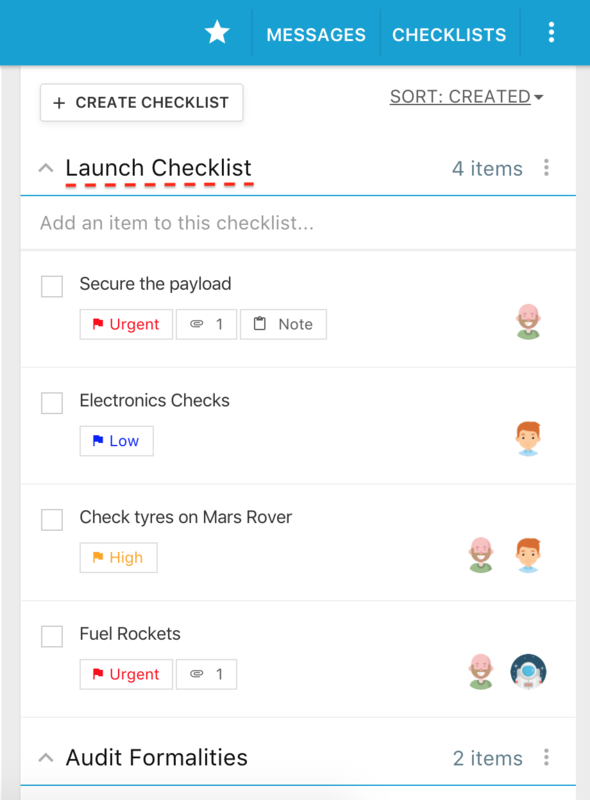 Click on the 'Checklists' button on the top right to get to the Checklist tab. 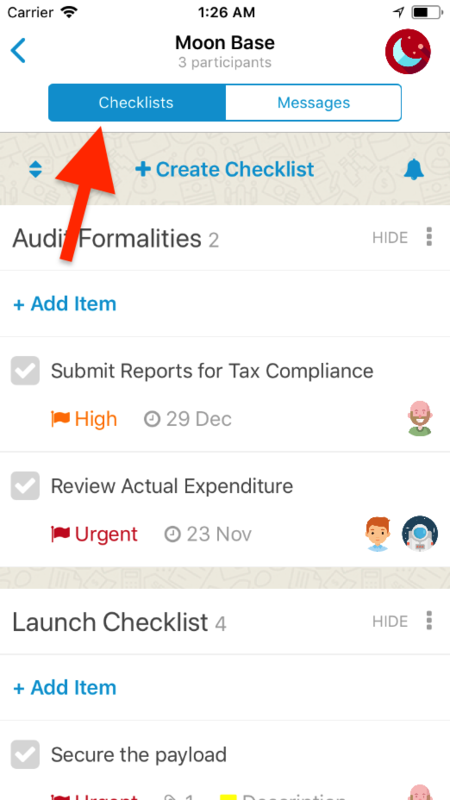 (if you're not there already). 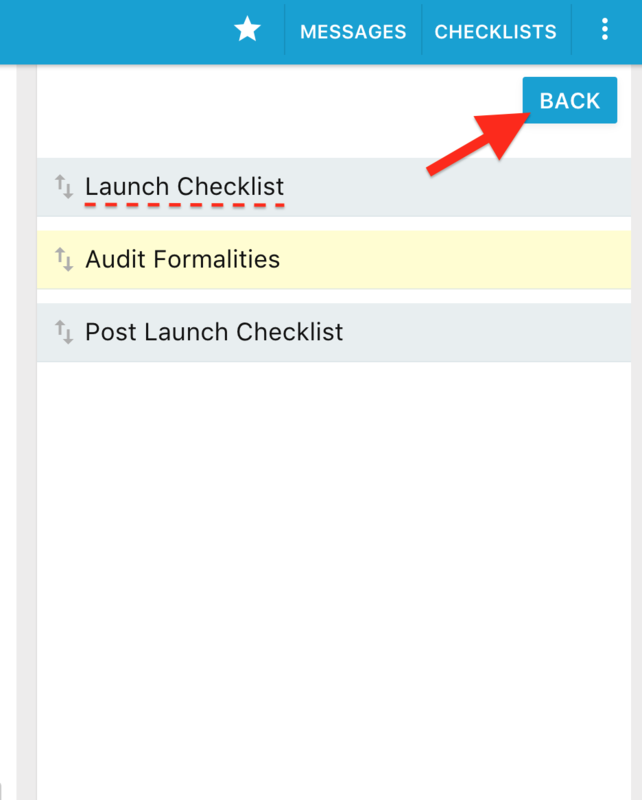 Click on the 'Options' menu against any of your checklists. 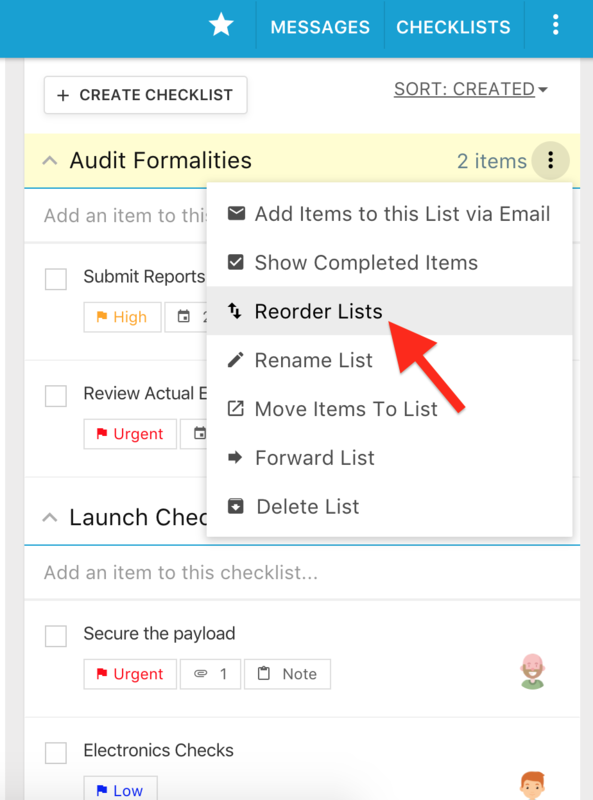 Move your checklists up or down, as per your preferences - by clicking and pressing down until you have moved it to the desired position. 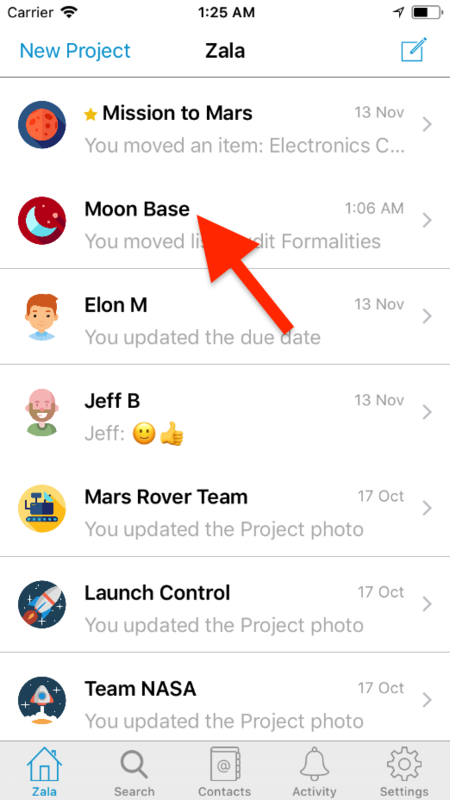 Click on the 'Back' button on the top right when done.